There are so many different flavors when it comes to ice cream; my favorite has to be pistachio. However there are some nasty flavors and the mash cone has to be the worst one of them all. 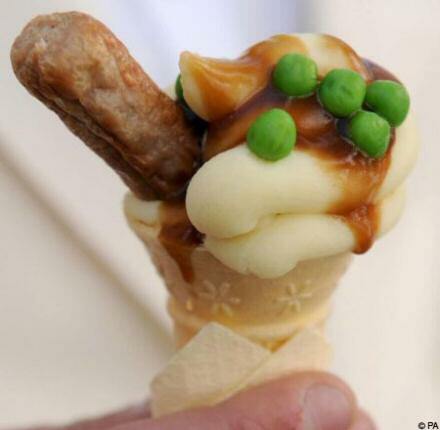 How would you like to go out on a hot summer’s day and then think I know I want a mash cone which consists of sausage, mash potato, gravy and peas.